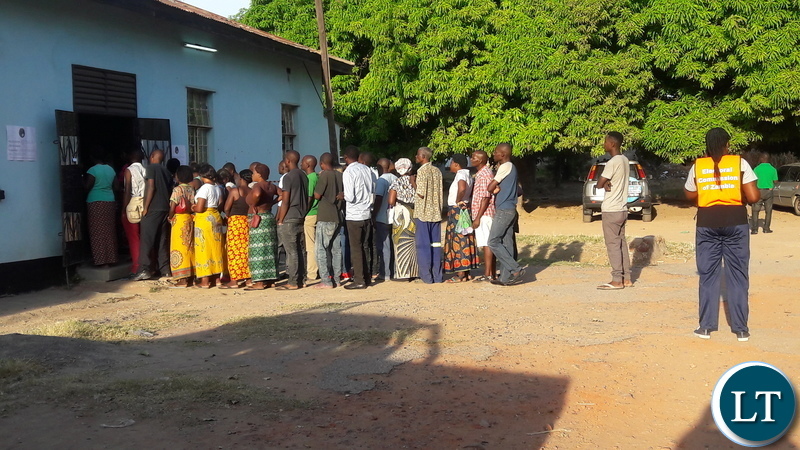 Voting is underway in Kafue District where people are voting for a new Council Chairperson. Poling stations opened at exactly 06 hours in the morning and are expected to close at exactly 18 hours in the evening. 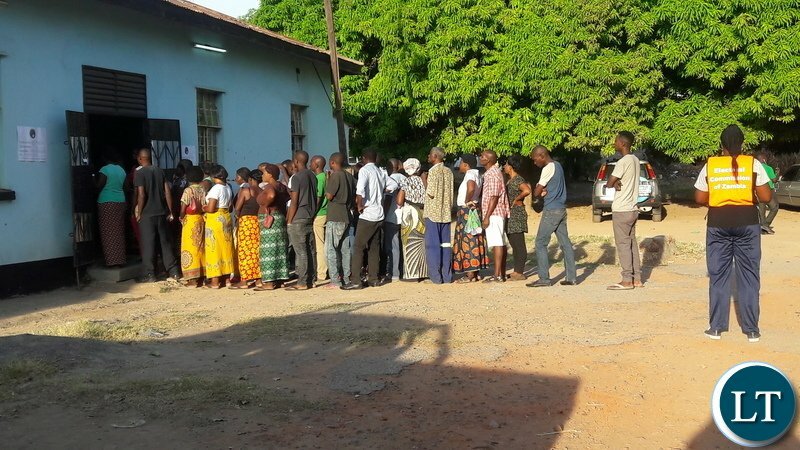 Voter turnout was not impressive as at 06: 30 at a number of poling stations checked among them Beit Hall, Estates Hall, Labour Office and Kafue Civic Center among others. The only two political parties PF and UPND who are contesting the election are confident of scooping the seat having extensively campaigned. 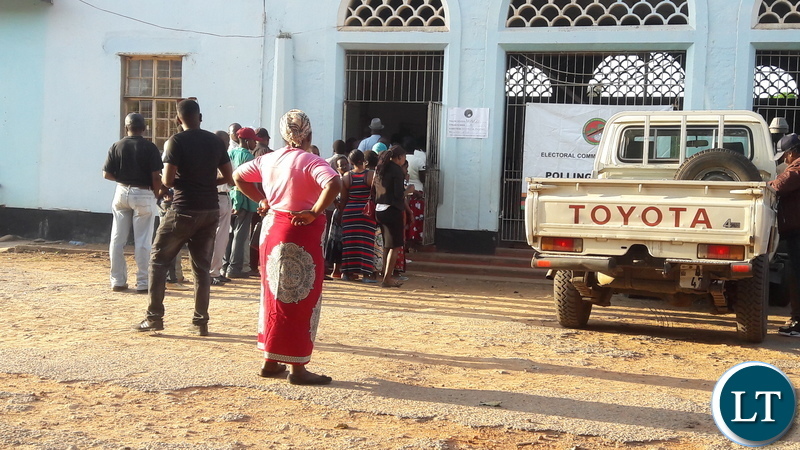 The Kafue Council Chairperson by election was necessitated by the resignation of the incumbent Thomas from the UPND who joined the Patriotic Front. Mr. Zulu was suspended from the UPND by the Party Leadership for attending the keep Zambia clean, green and health cleaning exercise that was officiated by President Edgar Lungu. 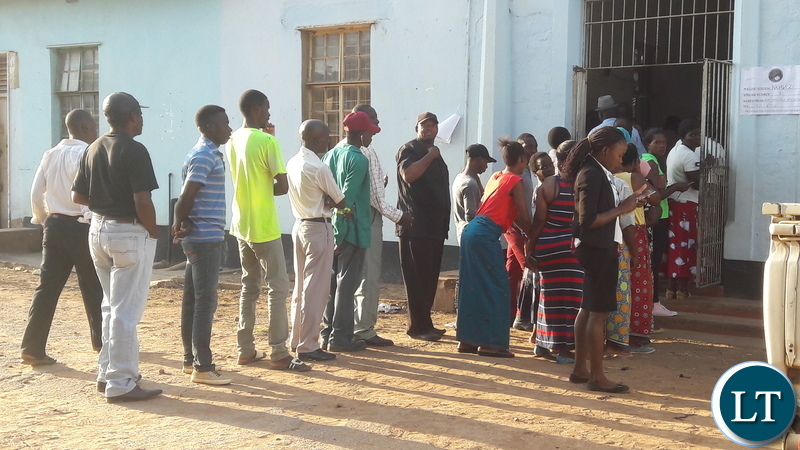 Kafue has about 62, 685 registered voters. 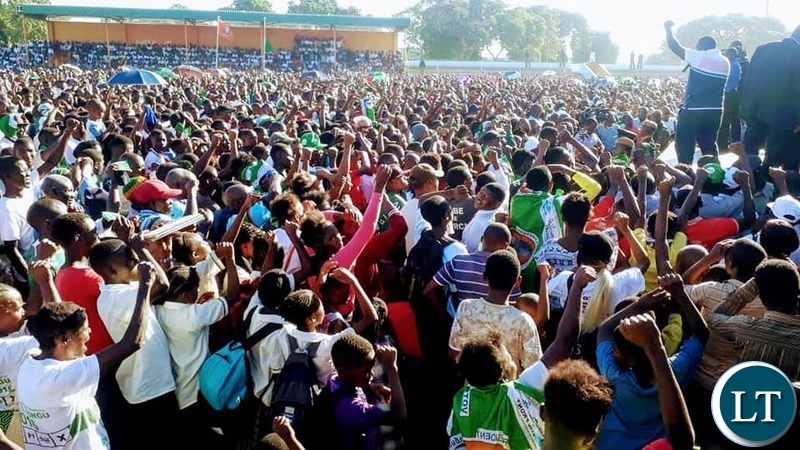 President Edgar Lungu yesterday advised youths to desist from being used as tools of political violence as the people vote today. He expressed hope that the election will be free and fair and that no cases of violence will be recorded. Kafue residents go and vote. Its your constitutional right and no one should stop or intimidate you. The people who keep voting/rigging for PF are the ones bringing the country down to it knees. Imagine a Civil servant who hasn’t been paid for 3-6 months voting for PF, the main causer of his/her problem. Or a jobless youth with no hope of getting a job. Their insisting on thieving PF gang has negatively affected even the people who have rejected PF. These presidential campaigns will never end. Ba Edgar still can’t believe that he is president, he keeps going around campaigning. Look in pictures, where is PF councillor candidate?? Zambia it’s all about voting,elections and the President busy Dancing……no wonder we dont develop…….when was the last time you heard about elections in Denmark or Australia or USA….in Zambia every month now its campaign time and dancing and voting so when do these Cadres find time to work?????? 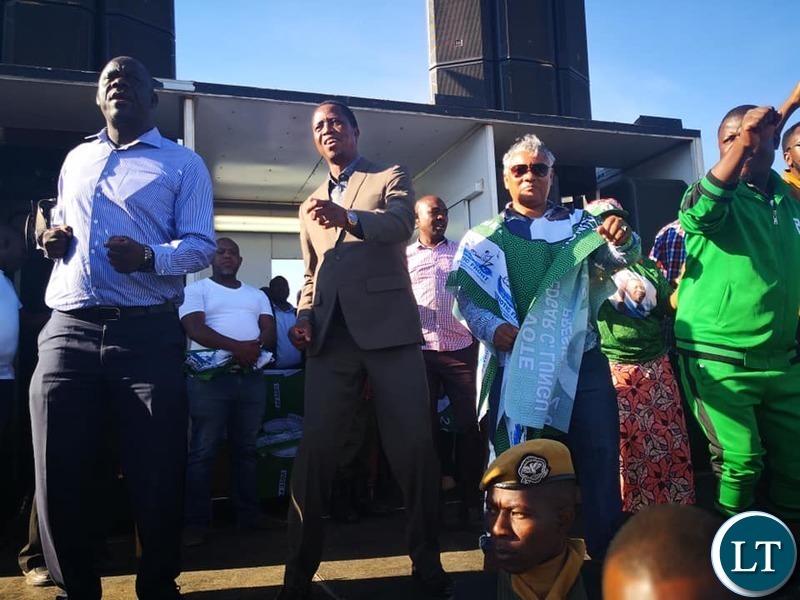 That’s the only thing Lazy Lungu will be known for dancing on PF stage like a fooooooool he is whislt govt workers are going unpaid for months on end. HH is a Dic and should not be allowed anywhere near State House, how do you suspend someone for attending a keep Zambia clean campaign. @Godfrey where is the insult? Dictator is not an insult. zambia full of illiterate population, cowardice educated, who cant articulate national issues. PF should not rig the votes again as this is their cup of tea. Guys please read befor you write your comments, Mr. Zulu was “Suspended” from the UPND by the Party Leadership for attending the keep Zambia clean, green and health cleaning exercise that was officiated by President Edgar Lungu. Then this is what he did, causing the expensive by-election just for a suspension. This means he was told by PF to Resign and and promised him something, He will not get it. UPND from Chilanga to Kafue is headed for oblivion! @Nganganga, Councilor Zulu was expelled from UPND by HH and he is not the first elected official to be expelled or suspended. HH has bulldozed MPs, councilors and all officials to dance to his tune, UPND is HH and HH is UPND in short HH is wamu yayaya. you are about to come to an end of your voting dont forget there is nothing to eat at home no salaries for workers or indeed pension for retirees while someone is going round the country carrying a bag of your money for campaigns. just for one moment try to imagine how it feels to make others suffer due to selfishness. Please verify that Obvious Mwaliteta has been arrested again this time in Kafue estates for bringing cadres.